Life is precious but often it gets compromised due to the financial troubles faced by the people. However, are the people only one to be blamed for this crisis we see? The answer is "No". The financial crises of recent years was to do with the governments and the banking system, which collapsed with banks going bankrupt, making billions lose their lifetime savings! And some even today have not recovered from the previous disasters, but that's not it with the whole world on verge of ANOTHER financial fiasco. So, is there no solution to this? Or you, me and all of us continue to suffer for mistakes we never made? Are we also going to make our children go through the pain many of us went through? Will there be no way to lead a life that we all desire and dream about? The life we all deserve? Is the life of majority going to be wasted up in trying covering up for basic needs? Kinesis Monetary System, the pathbreaking system that was founded by Allocated Bullion Exchange (ABX), the world’s leading electronic exchange of physical precious metal like Gold and Silver. With knowledge, expertise, and experience, ABX turned itself into a trusted leader in the precious metal industry for the better part of this decade! With Kinesis, comes the solution of the problem that Cryptocurrencies faces and the precious Metal with storage fees. Kinesis is the world’s FIRST Monetary System and unlike other Cryptocurrencies in the world, Kinesis Coin are baked 1:1 by REAL Physical Gold or Silver with serial numbers, that is stored in top-tier vaults around the world, that YOU retain title to! And you can even have Physical Gold or Silver held in your account or shipped to your doorstep! 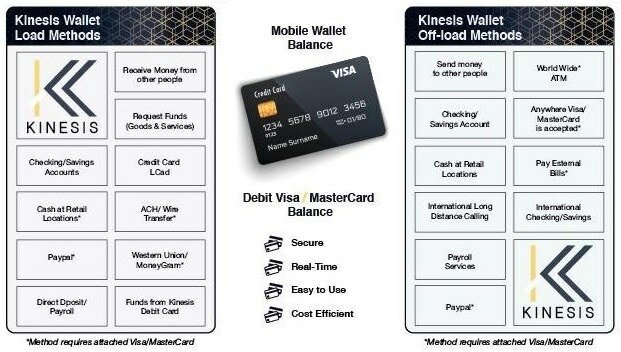 But that’s not all, as you can use this in your everyday life with daily transactions to buy/sell goods around the globe, utilizing the Kinesis Debit Card! It is going to make life easier, simple and safer for everyone and will boost the world Crypto space along with! When YOU "Mint" the Currencies, then SELL, SEND or SPEND the currency to another entity, this entitles YOU, as the Creator, to receive a Yield on that currency as it is used in financial transactions around the world, over and over again, within the KMS, because YOU own it! When you REFER people who Mint Kinesis Currencies, you also receive a % of the on-going transaction fees from all currency minted by the people you refer. 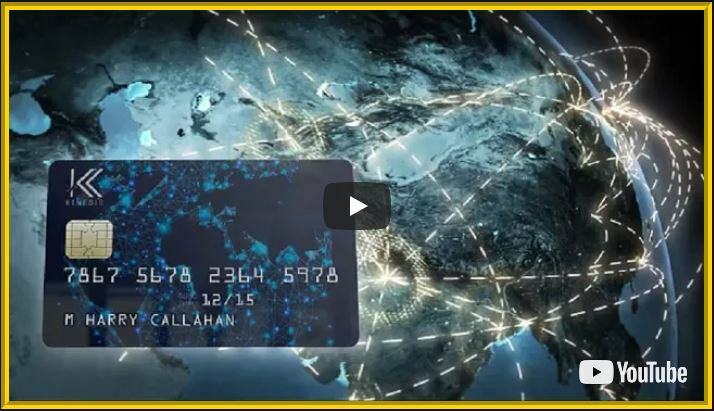 The Kinesis Currency Exchange records its usage, and you get paid a percentage of the transaction fees, as it circulates anywhere in the world, over and over again... for LIFE! As the Token owner, you will get a share of ALL transaction fees generated by ALL Kinesis Currencies used by everyone in the world for LIFE! There is only limited time available in the form of ICO with just 300,000 tokens available! The ICO ends on November 11th, 2018 or when all tokens are sold out, whichever comes FIRST! With such short duration, it is time to take a step towards a BETTER future! A future, where everyone will be able to have Financial Freedom. In life, good opportunities come pretty commonly, but great opportunities come rare, so make the decision now or else you will be left to regret! And to have the whole concept of Kinesis understood in minutes, all you need to do is to watch the video below, the duration of the video is around 5-6 minutes, that could literally change your life forever, so give your life a chance that it badly needed! And if you still are not convinced that this is the FUTURE, then look at the expert's rating of the Kinesis project!